There are some songs that grab you from the moment you hear them, that take up residence in your heart and mind and will not leave. 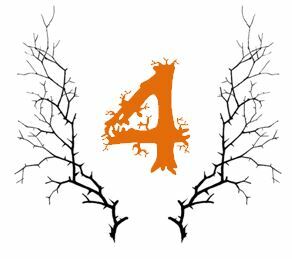 ‘Rusalka’ by Kathryn Roberts and Sean Lakeman is one such song and it‘s perfect for Day 4 of my ghostly advent calendar. Last month, Badger and I visited Milverton Music Club in my mother’s home village. It’s an intimate space for local music fans but for a small village it attracts some considerable names, generally from the folk scene. I’ve never been a folkie, but one night with Roberts and Lakeman changed my mind. Their latest album has many wonderful songs on it, but Rusalka is my favourite. Closing my eyes now, I can remember being in that darkened hall, tables lit by candlelight, hearing Roberts’ pure voice sing this dark lullaby. The story of the song – and their songs have many wonderful stories, completely disproving my prior belief (via Tommy Saxondale) that folk music is just ‘40 verses about crop failure sung by a bloke with hair like a brillo pad’ – is that of a mermaid luring fishermen to their deaths. She sits in the birch trees, winding her long red hair round her fingers, seducing young men so she can feast on their flesh and feed them to her children. It’s an old Slavic myth, the inspiration for Dvorak’s recently revived opera, but Roberts and Lakeman have added the more grisly element of the mermaid’s literal devouring of her prey. If you listen closely you will hear my hunting cries. I must catch myself a man to feed my little ones. I cannot recommend their new album, Tomorrow Will Follow Today, highly enough. Pre-release copies were available on the night we saw them, and I’ve played it to death since (no pun intended). It’s eerie and moving, delicate and intelligent, and ideal listening for a winter’s night.